Croatia is recognized in the nautical world for its historical heritage, its turquoise waters, its dense vegetation and exceptional moorings. It is the dream destination on a sail boat! Our suggestion for you is a week-long boat trip in the southern islands of the country, on the Dalmatian coast, in the Adriatic Sea. A true stay immerged in nature and tranquillity. Guaranteed change of scenery! 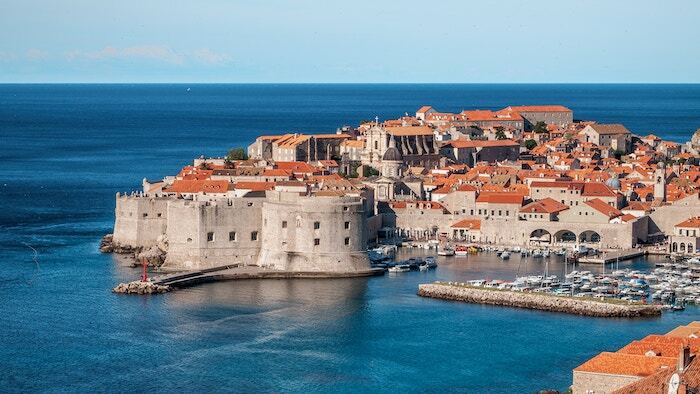 Please note that the marina surrounding the walled city of Dubrovnik is not allowed to yachts. One should head to the harbour of Gruz, the commercial harbour of the city (located in Rijeka Dubrovacka) to access these. The bay located right after Gruz is an ideal place to anchor. • admiring the heavenly beaches around the city, as well as the old harbour. Once in Lopud, located 4 nautical miles away from Dubrovnik, you will see the richness of its Mediterranean vegetation and its lovely little village. There you will find restaurants and a medical post in case of emergency. Anchoring is allowed around the harbour of Lopud. Be careful though, the soil is sandy around the harbour – remember to check from time to time if your sailboat or catamaran has moved. 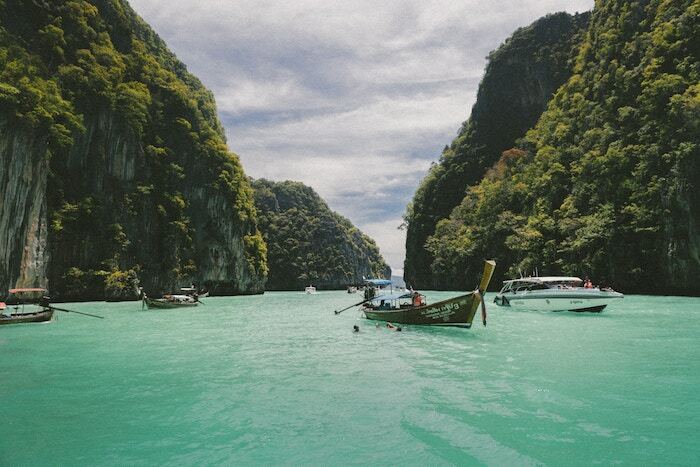 We advise you to land and dive into the abundant flora of the island: you will be surprised by its calm. 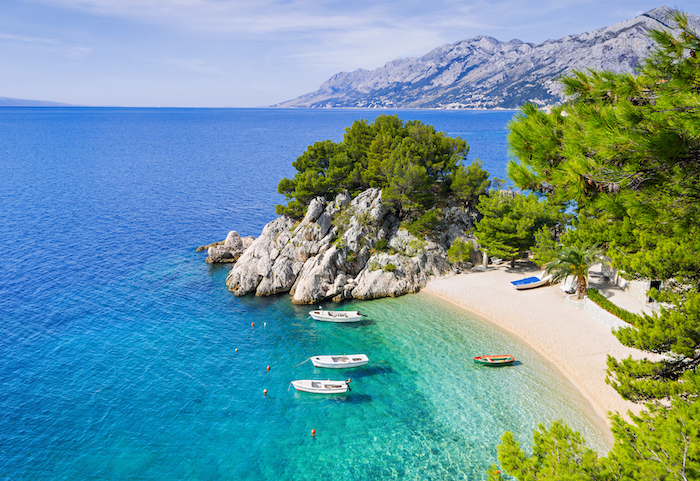 Do not forget to visit Šunj beach, which is considered one of most beautiful beaches of this group of islands. • visiting the village of Lopud. After sailing along the island of Šipan, you will arrive on the island of Mljet, in the harbour of Sobra, a small fishing village. 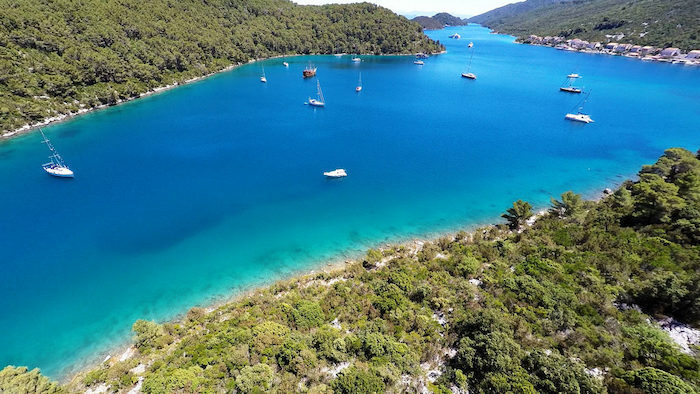 Many sport activities are available: hiking, windsurfing, diving or cycling, especially at the Mljet park, which remains the “must” of the island, where you will land on day 4. 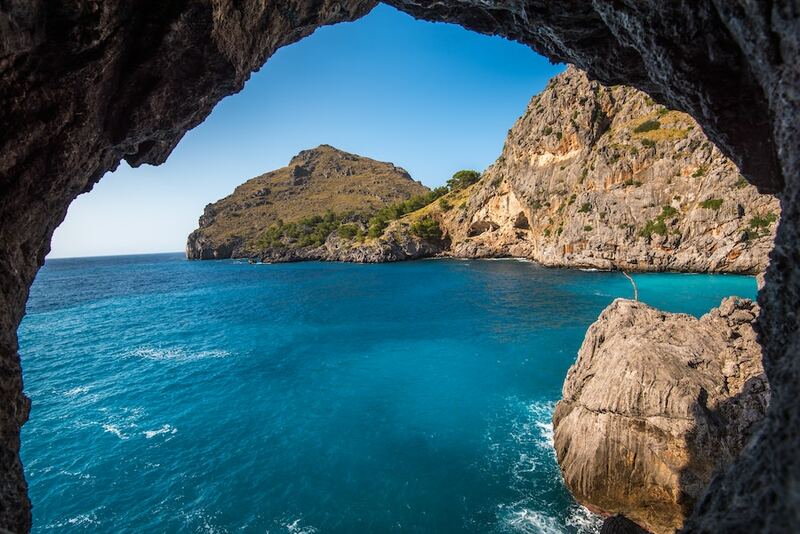 The island is also present in the Homer’s Odyssey, where the famous grotto of Ulysses is located. 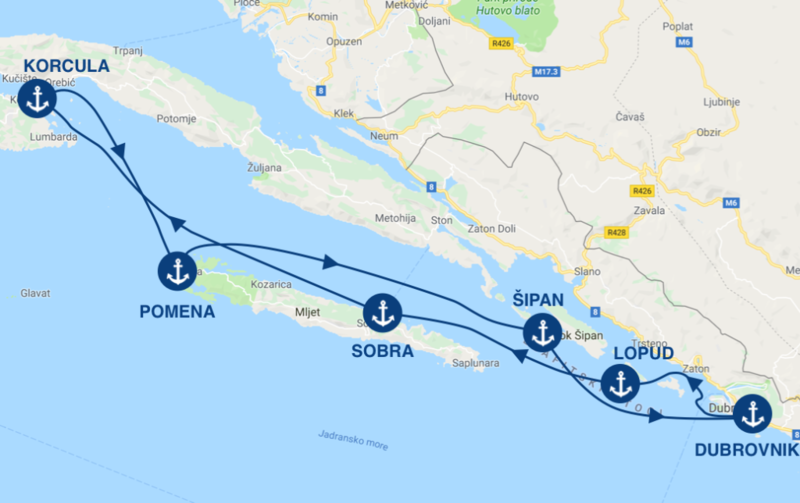 A tip when mooring in Sobra: avoid the South-East part where the daily ferries travel between the Croatian islands. Prefer the North-West corner which offers a good mooring space for the day. • exploring the grotto of Ulysses. 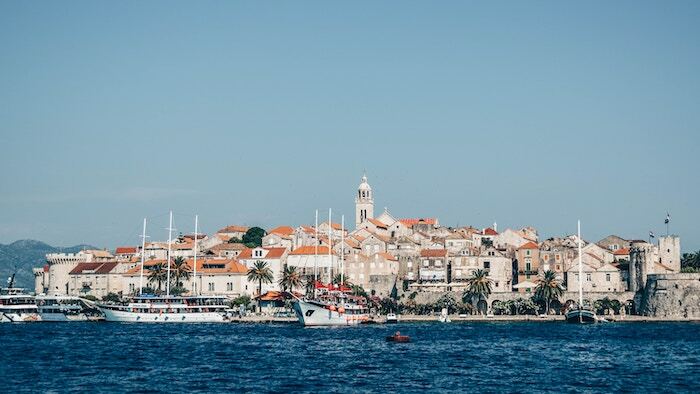 Up North is the island of Korčula, larger and more visited by tourists, but just as dominated by nature. East of the city are the ACI marina and the main mooring spaces. This marina is protected by a breakwater. Very popular, ensure yourself a place by booking it in advance. If not so, several other alternatives are available to you. For example, you can sail to Missionary (42 57.1N 17 09.7E), located one mile away from the city and anchor there. The city of Korčula is very rich from a historical, cultural and gastronomic perspective. Wander around the fortifications, passing by St. Mark’s Cathedral and Marco Polo’s house. Various museums may also be of interest to you. There are many other charming cities such Blato, Račišće, avalatica, Vela Vuka and Smokvica. • tasting the local cuisine of the island of Korčula. 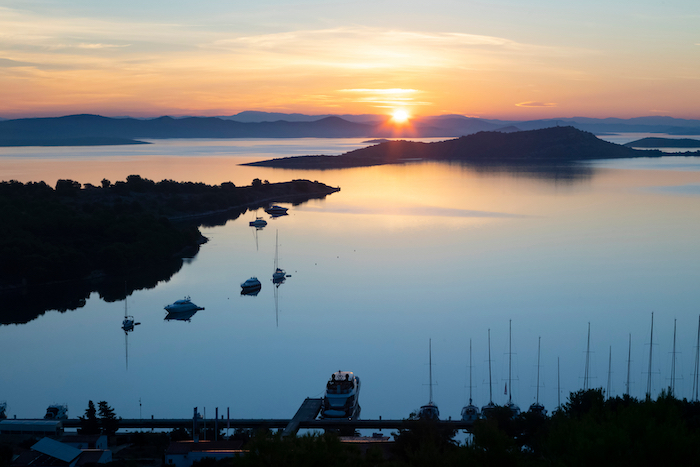 The Mljet National Park stretches over a good part of the island of Mljet, in the village of Pomena: a rather sporty day is on the horizon. Once there, enjoy your visit by hiking or cycling. There are two hot and salty lakes, surrounded by large pine forests. At the lakes, you can go swimming, canoeing and windsurfing. During your walk, you will pass by charming small cities like Pomena, Goveđari, Pristanište and Polače. Mooring is possible in Pomena. Note that the West and North West of the harbour are neither protected from the winds, nor from the swell. 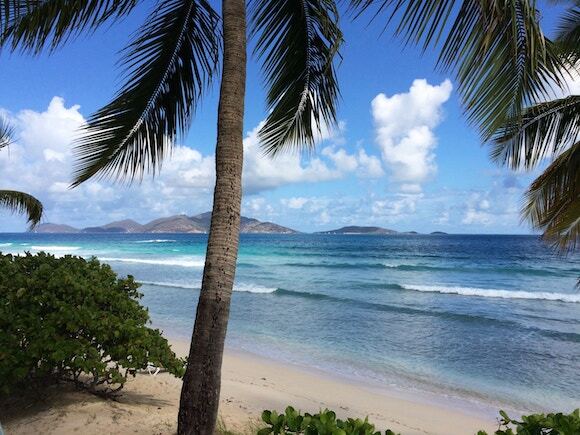 Position your catamaran or sailboat properly before leaving to explore the island. An access to electricity and water is available on the dock, which also gives direct access to restaurants in the city, making this step of your cruise very pleasant. • going to the top of Montokuc Hill. Last stop of your boat cruise: Šipan, the largest island of the Elaphiti group of islands. You will arrive in the harbour of Šipanska Luka, one of the two villages on the island. If you decide to moor in this harbour, it will cost about 90 € per night for a 12m sailboat (price from September 2018). It’s a bit more expensive than average but you will find in this marina all the necessary comfort. This harbour is also very popular in the summer, remember to book your spot! On the island of Šipan you will find many buildings dating back to Roman times or the Middle Ages with many churches. Like on many islands in this group of islands, the luxuriant nature overlooking the island, especially the fruit trees fields, will offer you scented and colourful walks. Afterward, return to Dubrovnik with many memories of this cruise week in mind. • visiting the different monuments of the island.